Villa Punta Magdalena in Pollença is a villa with 1 room. 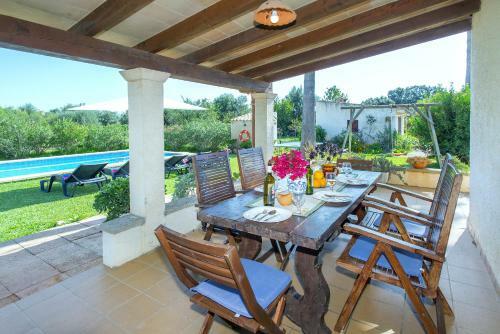 Situated in Pollença, Villa Punta Magdalena provides air-conditioned accommodation with a terrace and free WiFi. The property features mountain views. The villa is fitted with 3 bedrooms and a fully fitted kitchen with a dishwasher and an oven. A TV is provided. 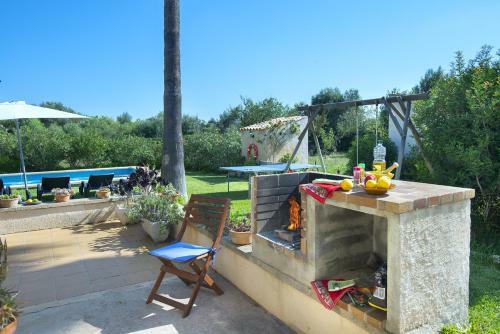 The villa offers a barbecue. If you would like to discover the area, fishing is possible in the surroundings and the property can arrange a bicycle rental service. Tomir Mountain is 22 km from Villa Punta Magdalena. The nearest airport i...s Palma de Mallorca Airport, 63 km from the property. 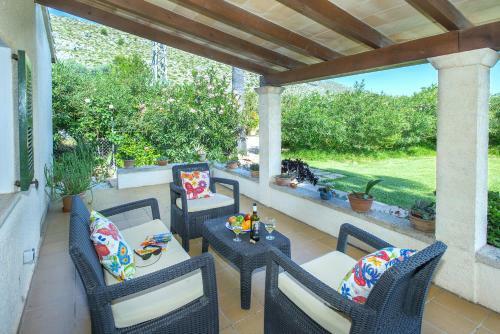 Situated in Pollença, Villa Punta Magdalena provides air-conditioned accommodation with a terrace and free WiFi. The property features mountain views.... The villa is fitted with 3 bedrooms and a fully fitted kitchen with a dishwasher and an oven. A TV is provided. The villa offers a barbecue. If you would like to discover the area, fishing is possible in the surroundings and the property can arrange a bicycle rental service. Tomir Mountain is 22 km from Villa Punta Magdalena. The nearest airport is Palma de Mallorca Airport, 63 km from the property. When would you like to stay at Villa Punta Magdalena? Payment before arrival via bank transfer is required. The property will contact you after you book to provide instructions. Please inform Villa Punta Magdalena in advance of your expected arrival time. You can use the Special Requests box when booking, or contact the property directly with the contact details provided in your confirmation.